Hamilton: There is no doubt that Indian wicket-keeper batsman Mahendra Singh Dhoni has a huge fan following across the world. While thousands, with placards and different manses, chant Dhoni’s name being in the stadium, some of his fans never miss the opportunity to meet him in person and show their love for him, even if it comes at a cost of breaching security and interrupting the cricket match. Cricket lovers at Hamilton witnessed something of the similar sorts during the third and final T20I between India and New Zealand today. Armed with an Indian flag, a diehard-fan of the 37-year-old cricketer barged into the ground and ran straight to him while India was fielding. He went down on his knees and touched Mahi’s feet. However, Dhoni picked up the Indian flag that was about to touch the ground before attending the fan, who was taken away by the authorities later. Dhoni’s act proved his immense love for the tricolour. The highlights of the incident were aired during the second innings while India was chasing, leaving the commentators foxed. 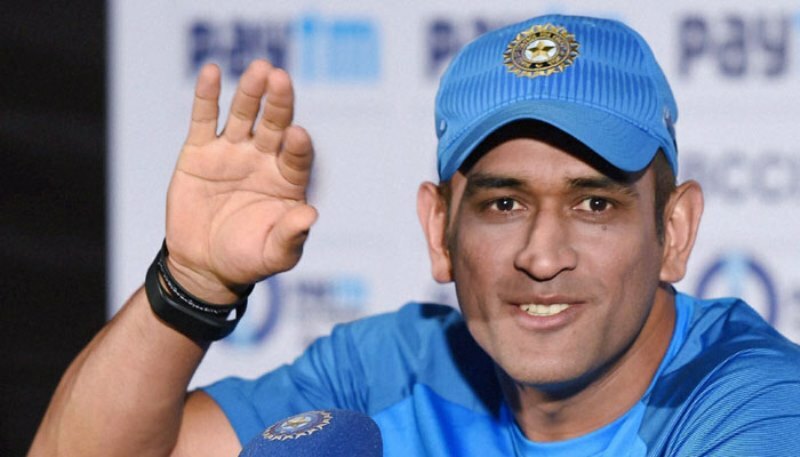 Cricket fans took to the Twitter to share the video and lauded Dhoni for lifting the flag. It is worthwhile to mention here that Dhoni’s helmet does not have the National flag as he has to keep it on the ground at times. A National flag is a symbol of great honour and respect, so it cannot be placed on the ground as the law states. Coming to today’s match, the Indian team, despite late fireworks provided by Dinesh Karthik 33 (16) and Krunal Pandya 26 (13) fell short by 4 runs while chasing a hefty total of 212/4 put up by New Zealand.